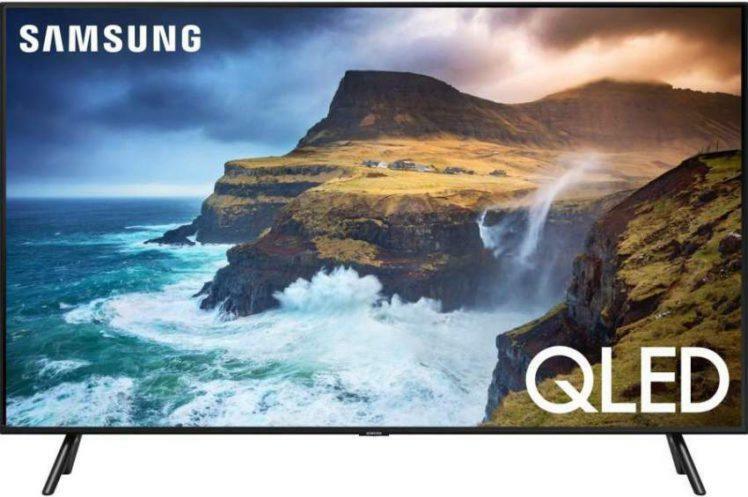 Bottom line: Samsung’s QN65Q70R has the performance and features that should satisfy most consumers searching for a high performance model that won’t break the bank. Samsung’s QLED quantum dot color technology takes picture quality to a higher level allowing for a much broader color spectrum. Its Direct Full Array 4X backlight with local dimming greatly increases contrast and black levels that help to boost HDR performance. Furthermore, if you’re a big video gaming fan, FreeSync technology will take your game time experience to new levels with exceptionally low input lag. And let’s not forget about the easy to use smart TV interface that has one of the widest selection of apps available. The Q70R is available in a variety of screen sizes, so finding the right model for you and your viewing environment should be virtually hassle free. 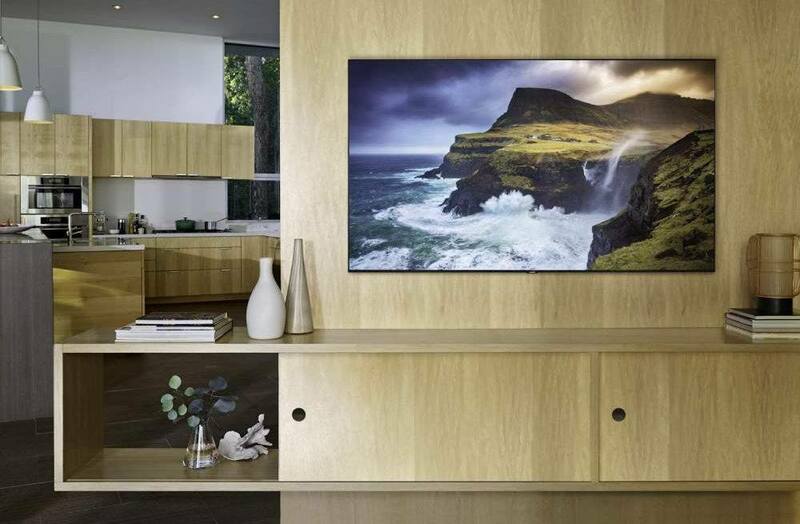 Samsung’s Q70R is one of four series in the company’s premier line of QLED 4K TVs. For more info on the three additional models in this series click here. The 70R is offered in several different sizes which include 49”, 55”, 65”, 75” and 82” screen options. The 65” model was used for this review; this review can be applied to the additional screen sizes as well. The 70R is par for the course where flat panel TV design is concerned – offering a very handsome and sleek profile, which I found to be quite appealing. When viewed straight on, the panel appears almost bezel-less due to the extremely thin frame bezel which measures approximately 1/8”. There is also a thin black border that is part of and encompasses the inside edges of the TV’s screen which adds to the overall attractiveness of the display. The TV’s semi-gloss screen is illuminated with full-array LED backlighting with local dimming, and when implemented well, usually gives superior contrast and black levels when compared to edge-lit LED designs. The 70R is a well built TV with solid construction and doesn’t feel or look cheap. The feet that support the TV are well designed and give the display panel very good support. This model does not use a One Connect box as do the two upper models in Samsung’s QLED lineup. All connections to this display are done via the rear panel. Remote control – The supplied OneRemote with built-in microphone for voice control is basically the same as the previous year model but now adds direct access buttons for Netflix, Amazon Prime and Hulu; even with these additions, the remotes” button count” remains sparse, which is great for functionality. The remote is very compact and easy to use once you get accustomed to how the buttons actually work. The remote does not require direct line-of-sight for most TV functions. The remote is not backlit. 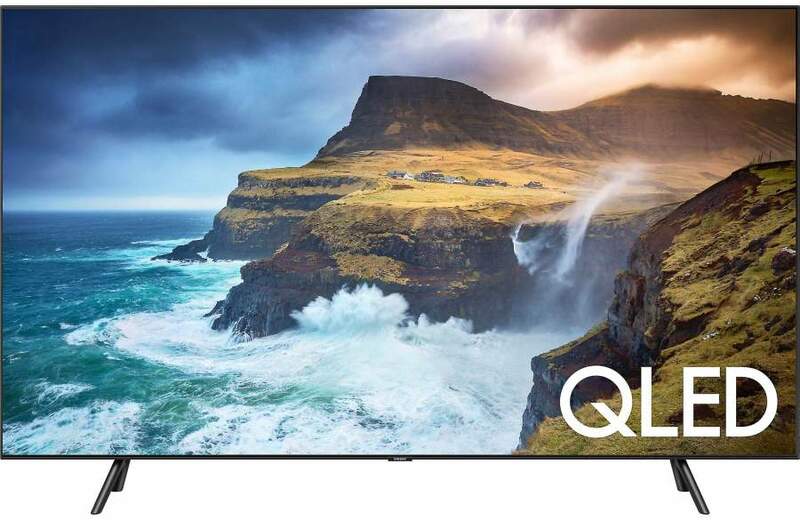 HDR (High Dynamic Range): This Samsung QLED TV features the ability to provide a premium High Dynamic Range (HDR) experience, with a higher level of contrast between light and dark images that are more realistic. This increased contrast reveals the subtle nuances of the image, from detailed blacks and shadows to the brightest whites and colors, plus greater image depth. The TV supports HDR10, HDR10+ and HLG. Note: Picture quality evaluation was done with the TV in Movie mode. Color Tone or temperature set to Warm2. Local Dimming set to High. If the Movie mode picture setting is too soft or flat for your liking, try using the Natural setting which will give the TV a more dynamic and vibrant picture without being harsh. Personally I like using the Natural mode when I want a more vibrant picture image, especially while watching sporting events. The Q70R produced very good overall picture quality, as was expected from Samsung’s QLED lineup. The display had no trouble delivering a bright and colorfully vibrant picture image, in addition to excellent contrast range and deep black levels. As with most of my TV reviews, I test displays using a variety of resolutions which include 4K HDR, 4K, 1080p and 480p video sources. 4K HDR rendered the best image quality, showing a robust and contrast rich image that had very good peak bright highlights in the brightest areas of the picture, and very good black levels when the picture image demanded it. Color rendering was also very pleasing, and I had no complaints as how natural and accurate the colors appeared on screen. Image detail was sharp and crisp and allowed me to see the fine detail that on screen images had to offer; for example, close ups shots of actors revealed the fine textures and patterns within the clothing they were wearing. Furthermore, images also had a notable three dimensional presence. 4K and 1080p content had excellent picture quality on this TV. Picture detail and clarity where impressive, giving a sense of realism to the picture image as a whole; it also produced great image depth and transparency that allowed me to clearly see objects that were set deep in the picture image. 480p content also looked decent on this TV. The image was clean and clear with no picture quality artifacts that can often be present when watching non-high def content on a HDTV. Color reproduction was excellent on this display. Colors were satisfyingly rich and vibrant with plenty of punch that added to the realism of the TV’s picture quality. Colors also had good tonal balance and precise accuracy. The Q70R also has a wide color gamut for expanded color reproduction. Black levels were very deep on this set and allowed the darkest areas of the picture to be rendered with deeply saturated blacks. Over the years it has been nice to see how well LED/LCD TVs have improved contrast and black levels, and the Q70R did not disappoint with this crucial picture element. Shadow detail on this set was very good; for example, viewing the movie scene I usually go to for this evaluation, I could see and discern all of the objects and landscapes in this dimly lit scene. Overall, the Q70R did an excellent job displaying shadow detail from my test video clip. Black screen uniformity was excellent on my review unit thanks in part to its local dimming capability, and was capable of rendering a completely black screen with no evidence of light leakage or flashlighting on any area of the screen. The results from my side angle viewing session on this display was what I expected from an LED/LCD TV, which was diminished contrast and color saturation as my side angle viewing position increased; this issue became readily apparent as my off-axis viewing angle increased to a 45-degree angle and wider. Motion handling – This TV had very good motion handling capability with all of the content I typically use to reveal any motion artifact issues, however with only one minor exception: a panning shot from a movie scene I viewed showed some slight judder as the camera moved from left-to-right. I was able to correct this issue by turning on the TV’s Auto Motion Plus feature. Setting this feature to Auto mode of Custom mode eliminated this issue. I usually leave motion handling features set to “off” during my TV reviews unless needed. With that said, in the case regarding the issue mentioned above, the judder was so slight, that under normal TV watching I would have not turned on Auto Motion Plus. The sound quality of the TV’s built-in speakers was a little better than what I expected; Although bass output was very limited, the sound did have a small amount of punch which added to the overall dynamics of the TV’s sound quality. The TV’s volume can reach loud output levels while remaining clear and intelligible with most content. 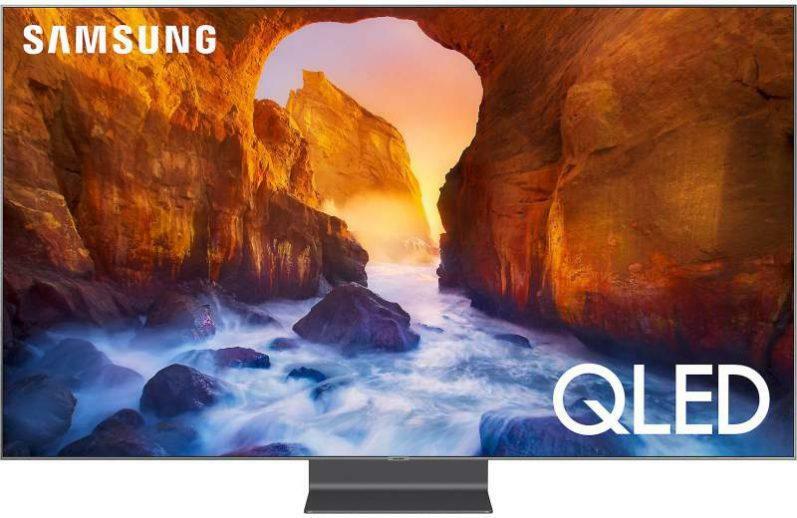 Samsung’s QN65Q70R QLED is a very good a solid performing 4K Ultra HD TV. Unlike last year’s Q7FN, it now offers full-array LED backlighting with local dimming which increases it contrast and black level capabilities. It also does a decent job with HDR content, although not the best I’ve seen. Its wide color gamut capability expands its color range for better color reproduction. And its bright screen will serve you well in a brightly lit room. This TV also has a great smart TV platform powered by an easy to use and navigate Tizen smart interface. 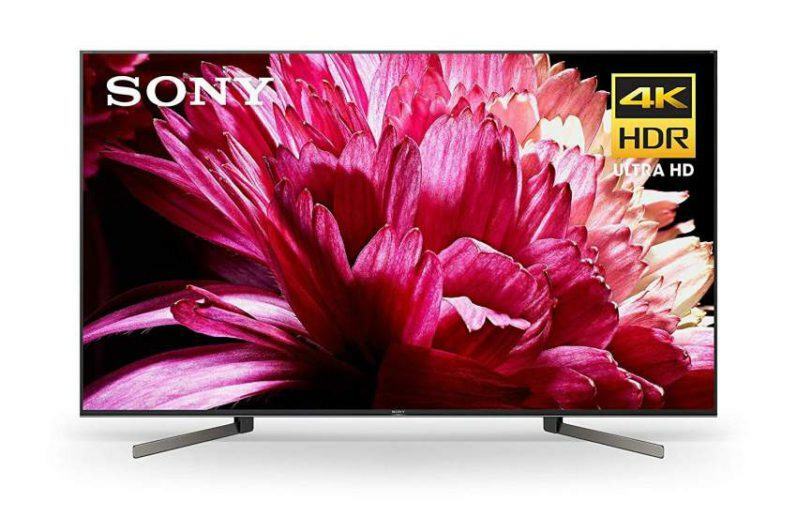 So if you’re in the shopping mode for a premium based 4K HDR Ultra HD TV, put this model on your list of current models to checkout.